What a year 2018 was, we’ve found even more deals for drills under $100. Below are the best cordless drills under $100 in 2019. 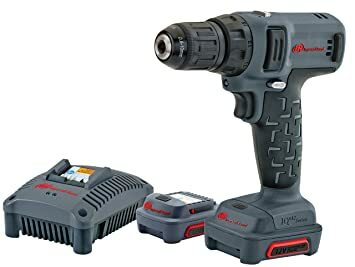 A cordless drill is a power tool that essentially replaces the traditional screwdriver, but it can do much more, depending on the product and its attachments. Whatever your needs, the right cordless drill is out there. We have reviewed the best cordless drills under $100 so that you don’t have to. The main question you have, is what is the best cordless drill under $100? With your personal preferences and budgetary restrictions accounted for, these are the 5 best cordless drills under $100 to grace your diy toolkit . For the full DeWalt DCD771C2 review please see our product review section. The DeWalt DC771C2’s high speed transmission features two different speeds (0-450 to 1,500 rpm); this is one component that contributes to the 300 UWO power rating. In practical terms, the variation in speed allows you to do a variety of different tasks, adjusting the speed for what’s appropriate for your current application. You may be unfamiliar with the term Unit Watts Out (or UWO); what it is is a power rating thatdescribes the point where torque and speed are highest. Think about it like this: The drill’s speed and torque (the amount of force produced by the drill) combine to produce a certain level of power. According to DeWalt, the higher the UWO, the higher powered the drill is, which means the faster you can get the job done. The 300 UWO motor on the DCD771C2 is incredibly powerful for such a lightweight drill, which makes this a major contender in the category of best cordless drills for under $100. At 3.6lbs, the DeWalt DC771C2 is a very lightweight cordless drill. Its low weight allows you to work longer with less fatigue or need to rest. With a weight of only 3.6lbs, you may be thinking that the DeWalt drill will be off-balance and too light, but this isn’t the case. The ergonomic design not only gives you comfort during use, but control, which promotes safety. When it comes to cordless drills, batteries are always required. The DeWalt DC771C2 comes with two 20V Max compact lithium-ion battery packs. Since it comes with two batteries, you can have one charging while the other one is in use, maximizing your productivity. The charger is also included as is a contractor bag for easy storage and transportation. Professional contractors may choose opt for a more powerful drill that can meet their extreme demands. However, this is still an amazing drill for homeowners, DIY-ers and casual handymen. Makita’s Extreme Protection Technology (XPT) is designed to protect your drill from water and dust while you’re on the job. The 2-speed transmission allows you to set speeds from 0-600 to 0-1,900rpm and the motor delivers 480lbs of max torque. The combined speed and torque make for a very powerful cordless drill. With the battery inside, the Makita XPH102 weighs a light 3.9lbs, allowing you to work longer hours with less fatigue. The Star Protection Computer Controls built into the XPH102 prevents it overheating, which protects your investment. Comes with the lithium-ion battery and charger. A few users have had issues with the drill wobbling; this is likely a manufacturing or user error. To remedy this issue, contact the company’s customer service and they can assist you. Professional contractors—especially those drilling through concrete—should probably look elsewhere unless this model suits their specific needs. That said, this a great drill for do-it-yourselfers and any casual user looking for a likable, sturdy cordless drill. The drill speed and torque combine to give the DeWalt DC970K-2 a power rating of 380 watts out, which is impressive for a compact drill. This model features a 45-piece screw driving set, which is great for anyone who is just starting out with cordless drills and looking to have a variety of bits on hand. The speed ranges from 0-450 to 0-1,500rpm. The speed variability allows you to perform a variety of applications while the maximum speed contributes to the high Unit Watts Out rating. The DC970K comes with two batteries (so one can be charging while the other is in use), the charger, a double-ended screwdriver bit and a kit box. This makes it a nice starter set for do-it-yourselfers just starting out in DIY. The batteries are nickel-cadmium (NiCad) instead of lithium-ion (Li-ion). While many users today prefer lithium-ion, the NiCad batteries are only a small piece of the overall product, so you just have to weigh that against what you like about the whole package. At 460 inch-pounds of torque, the DS18DSAL is a powerful drill, capable of exerting enough force to get the job done quick. An LED light makes it easier to work in dark spaces, improving safety. The Li-ion battery is something that a lot of users will like about this drill, as many consider this battery type to be superior to the NiCad battery. At 3.3lbs, the DS18DSAL is one of the lighter weight models on the market today. This is a bare tool, so you will need to purchase your own battery and charger. However, this isn’t that big of a deal, if you prefer this model to the others, which many do. And if you already own a compatible battery and charger—all the better. The Ingersoll Rand drill features two speeds and a 15-position clutch. This variability in settings allows you to perform a variety of applications that would typically be impossible on a less capable drill. This is a unique feature with the D1130-K2. If you work in the automotive field, this might be a drill to keep in mind. Due to its low weight and balance, the D1130-K2 is designed to be ergonomic and reduce user fatigue, allowing you to get the job done sooner without distractions or discomfort. 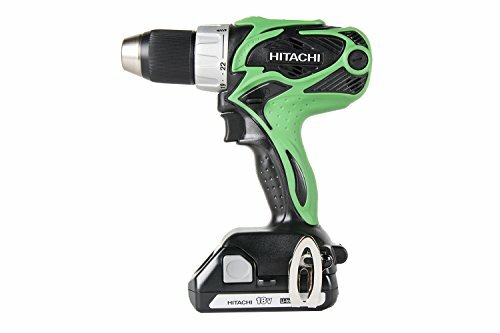 This drill uses a lithium-ion battery, which is a big point in its favor as more and more users come to prefer this battery type. Due to its extremely small size, the chuck may not accommodate all standard sized drill bits. While all of these cordless drills have a lot to recommend them, the ultimate winner is the DeWalt DCD771C2 drill. Its unique combination versatility, power, ergonomics and likable features (like LED lights, Li-ion battery, etc.) make it stand out among the rest.